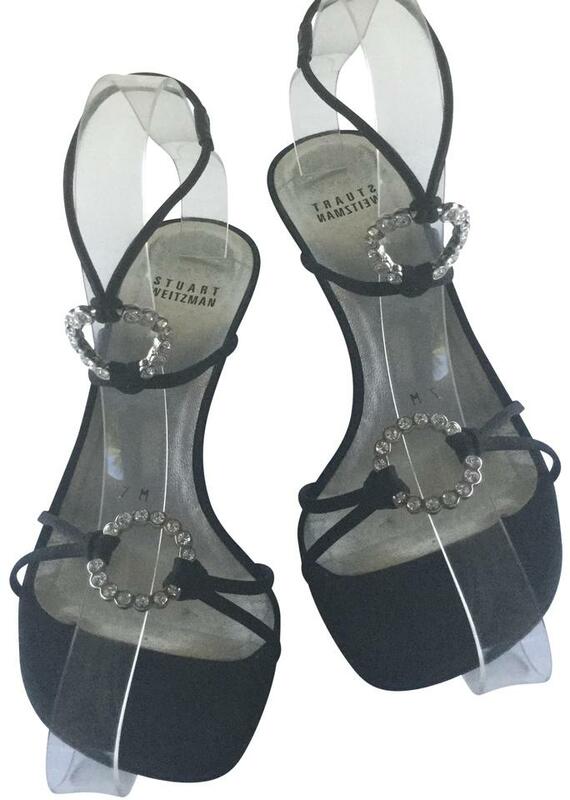 Stuart Weitzman silk pumps 7M with ankle strap and rhinestones. 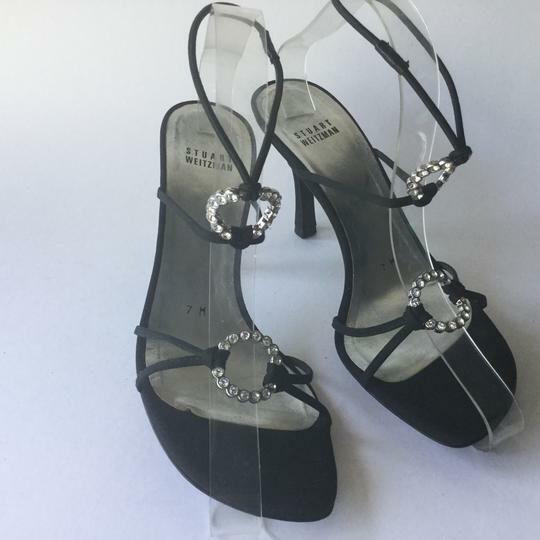 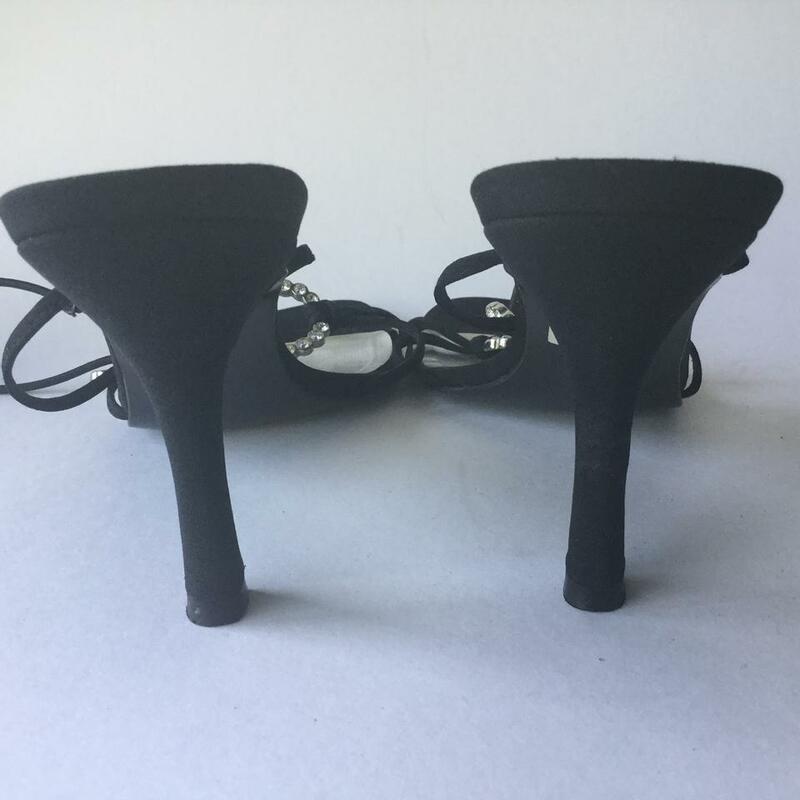 Gorgeous black silk strappy sandals with two rhinestone charms on each shoe. Heel is 3 inches. In excellent condition but has some minor wear on the foot bed. 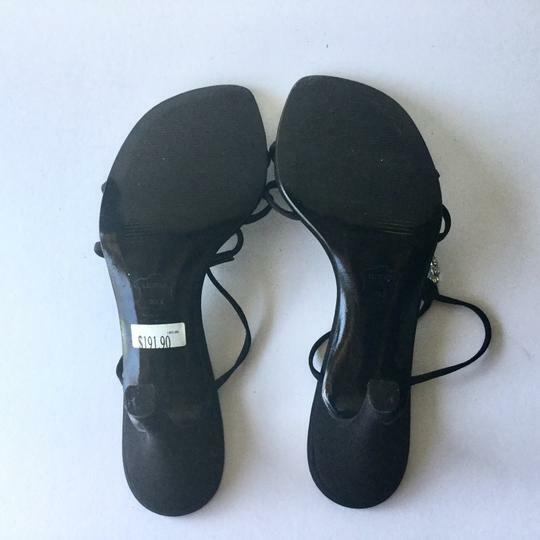 Original price tag on shoe. 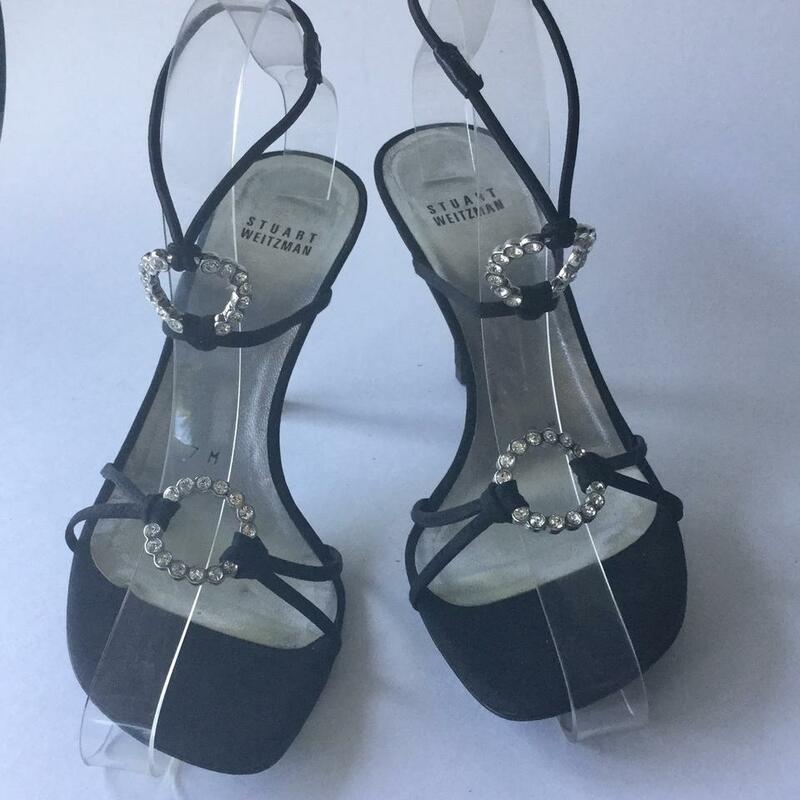 Stuart Weitzman silk pumps 7M with ankle strap and rhinestones.